The Nigerian Conservation Foundation (NCF) yesterday said Lagos and other coastal cities globally that are less than one metre above sea level could be submerged by 2050 if the surge continues, according to the News Agency of Nigeria (NAN).“The projection by scientists in the United Nations who are the authority in climate change effects, after extensive studies, says there is the likelihood of the world’s ocean rising by one meter between 2030 and 2050. 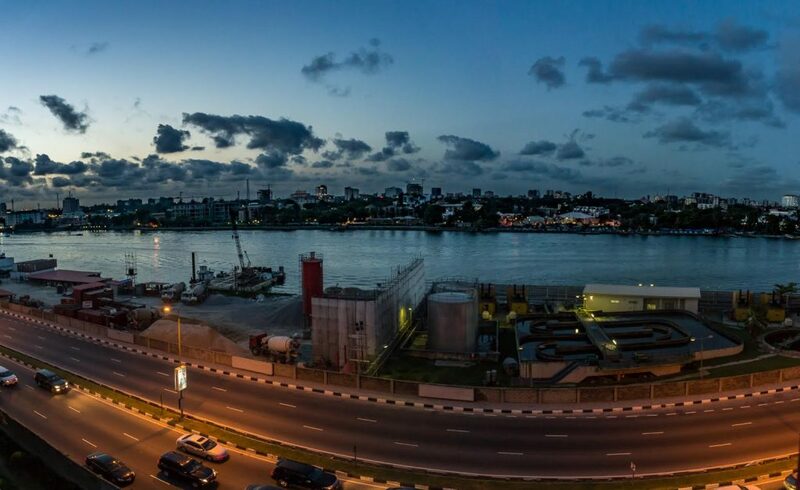 “Hence, any city less than one metre above sea level is under threat and Lagos is part of the many others,’’ NCF’s Director-General, Dr. Muhtari Aminu-Kano, said in Lagos. He noted that part of the reasons for ocean encroachments and beach erosions was the activities around the coastlines. Aminu-Kano submitted that the menace was not peculiar to Lagos, as other coastal cities worldwide would feel same. He stated: “It is a danger caused by climate change and we have got to take it seriously and apply steady and serious measures beyond infrastructure projects to deal with it. “Sea level rise is another looming danger that could come to threaten the existence of Lagos if we do not treat it with seriousness. President Muhammadu Buhari in 2015, at a summit on Climate Change at UN headquarters in New York, had said Nigeria was committed to the adoption of a legally binding universal agreement to mitigate climate change, adding that the socio-economic consequences of the menace spare no nation. The NCF chief, however, urged the Lagos government to adopt strategies on renewable energy to tackle pollution. In a related development, the nation has lost 96 per cent of its forests. Aminu-Kano, who also made the disclosure, added that the country currently has only four per cent of its original forests covered. “About 96 per cent of our original forests have been lost. It is catastrophic. “It is sad that we are losing vegetation cover and there is an absolute need to make concerted efforts to grow more trees because the more, the merrier not only in Lagos but across the country,” he appealed. He said his organisation was exploring ways of increasing Nigeria’s vegetation from four per cent to at least 25 per cent in the next 30 years. One of the ways, he said, was to plant more trees and stop felling of same as fuel for cooking and furniture purposes. The chief conservationist went on: “We are exploring ways of gaining back some of what we have lost through the ‘Green Recovery Nigeria Initiative’ that will bring stakeholders like the government, faith leaders, traditional rulers and others to think out solutions. “We have only four per cent of our original forests covered now and we think that is catastrophic and requires massive efforts to increase that coverage to at least 25 per cent across the country in 30 years.